Do you have an old hot tub, jacuzzi or above-ground pool at your property that you no longer use? Perhaps you use your hot tub every now and then but have grown to dislike it as it takes up space. Others view old hot tubs as eyesores. Regardless of your reason for wanting to get rid of your hot tub, Junk Kings is here to perform your hot tub removal. Let us do all the heavy lifting so you do not have to. We will eliminate your hot tub for good without leaving a mess behind. You have likely spent a good amount of time thinking about how to remove your old hot tub. Do no waste one more second pondering the best ways to remove this massive item from your home. Our haulers are here to do the work and free up that much more space in your home. We remove hot tubs, spas, appliances and other heavy items so our clients do not have to bother attempting to move these bulky and cumbersome items. We also remove all sorts of other junk ranging from old furniture to yard debris and beyond. All you have to do is contact us to schedule an appointment. When our junk hauling team arrives, lead us to the hot tub. We will strategically break down the hot tub, load up our trucks and haul away your hot tub for green removal. This means we do not head straight over to the landfill and dump the hot tub. Instead, we assess the tub to determine what parts can be recycled. The last resort is to bring the tub to a landfill. Green hot tub removal really is as easy a that. You do not have to lift a finger but to dial the phone to schedule the removal of your hot tub. It is certainly tempting to break down every hot tub destined for removal, put the pieces in our trucks and simply toss them in the trash. However, such an approach is irresponsible to our planet as well as future generations. We go the extra mile to make our hot tub removal and every other junk haul environmentally-friendly. Our aim is to minimize the amount of junk we pick up that ends up in landfills. Much of what we haul away can be recycled, re-purposed or disposed of in an environmentally-friendly manner. Can you imagine the amount of time and effort required for you or you and a friend to break down the entirety of your hot tub and find a way to remove it from your property? Such a project would also take a considerable toll on your body. Hot tubs are supposed to be places to relax, not burdens. 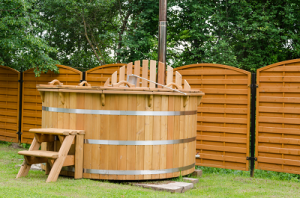 Do not let your hot tub removal stress you out; let Junk King perform this haul so you can square your focus on your new hot tub or the space freed up thanks to our comprehensive haul. You can do a couple things to prepare your hot tub for removal. Drain the water. Disconnect the hoses and everything else from the hot tub prior to our arrival. This means the heat should be turned off. The circuit breaker should also be in the off position. Do not worry about whether the hot tub will fit in our trucks as we have the specialized equipment and years of experience necessary to break down your tub and haul it away with unparalleled efficiency. If you have any queries feel free to contact us. This entry was posted in Junk King Sonoma, Sonoma hot tub removal, Sonoma Junk Hauling, Sonoma Junk Recycling and tagged hot tub, Sonoma County hot tub removal, Sonoma hot tub removal on March 26, 2019 by Julian Torres, "JT". Last updated April 13, 2019 . When it comes to moving heavy appliances, it is better to leave the work to the experienced haulers. It takes more than muscle to lift these massive appliances; in-depth strategy is also necessary. In some cases, moving equipment is required to ensure a safe haul. If you are thinking about getting rid of an appliance of any sort, do not attempt a DIY (do it yourself) removal project. You run the risk of damaging your home or even hurting yourself when attempting to move an appliance. It is better to let the experienced junk haulers at Junk King do the work. Junk King refuses to haul appliances directly to the scrap heap. If the appliance is still working or can be repaired, it might be possible to donate it. Furthermore, parts of the appliance might be recyclable. Let Junk King haul away your appliances and other unwanted items and you will rest easy knowing the greenest junk specialists in the country are exhausting every avenue for re-purposing and recycling. In fact, many of our junk hauling trucks operate on bio diesel made from environmentally-friendly petroleum and other renewable resources. This is appliance disposal you can feel good about! If you are intimidated by the prospect of moving a large appliance, your thinking is justified. Moving an appliance any more than a couple feet takes considerable effort. Even if you have a friend or family member to help, moving the appliance might prove extraordinarily difficult. In fact, moving a large or heavy appliance out of the room might prove impossible. Do the smart thing by contacting Junk King for prompt appliance removal. This way, you won’t have to worry about hurting yourself, damaging your home or finding a place to drop off a massive appliance. Our junk haulers will do all the work on your behalf. Though it might be tempting to haul an appliance on your own, especially if you own a truck, this type of project is best left to those with experience. As an example, refrigerators and freezers pose a threat in the form of refrigerants that can harm the environment and lead to a significant fine. Other items feature display panels and microprocessors loaded with hazardous and toxic materials. Even a small amount of such toxic material can compromise the integrity of our water and land. The bottom line is only the experienced junk haulers who understand all of the risks associated with transporting an appliance should tackle a project of this magnitude. Everyone can win if you decide to let the experienced junk haulers haul away your appliances. Plan ahead for your appliance haul, lean on the experts to do the work and this careful removal really will prove mutually beneficial to you, future generations and the environment. When appliances are disposed of in the proper manner, their metals decompose, leak into the soil and cause iron and lead to contaminate our groundwater. As another example, consider the improper removal of air conditioners that leak Freon into the atmosphere. Freon damages the ozone layer. The proper removal and recycling of air conditioners and other appliances with such chemicals protects the atmosphere as well as our planet. If you have one or several appliances you would like to get rid of, let us handle the job. Give Junk King a call at (707) 744-4254 or online to schedule your haul. This entry was posted in Chemical waste disposal, Computer Disposal, Electronics Disposal and tagged computer disposal, Sonoma Junk Removal, Sonoma Old TV Disposal on March 13, 2019 by Julian Torres, "JT". Last updated April 13, 2019 . Everyone has them, those mystery cans, bottles, and containers that hold expired cleaning products or other substances that might or might not be household hazardous waste. At Junk King of Marin, we haul away all kinds of junk except for hazardous waste. But we do know how important it is to keep your home and the earth’s environment safe from waste risks. And with a little education we can all join together to practice safe household hazardous waste disposal. Read on for some of our top tips to do just that. The broad term “household hazardous waste” actually applies to any home or retail-generated hazardous waste. It covers a wide array of products that have the potential to harm the environment if not disposed of properly. This can include things like automotive care products, oil and latex paints, drain cleaners, antifreeze, and other household chemicals. First, always keep hazardous materials in their original containers. Be sure to store them out of the reach of children and animals and away from food. If you place a hazardous material in another container, make sure it’s clearly labeled, and never store it in empty food or beverage containers. Keep the containers dry to prevent corrosion and store chemical products in a well-ventilated area. To be safe, keep any suspected household hazardous waste away from heat, flames, or other sources of ignition . Finally, never combine dangerous household hazardous waste with other products . The EPA considers any leftover household product that can catch fire, explode, or react under certain circumstances as household hazardous waste. Since many of these products contain hazardous ingredients, they require special care when disposing of them. Always follow labeled storage and disposal instructions to avoid personal injury and environmental harm. And remember, even empty containers of hazardous waste can pose risks due to the residual chemicals that might remain. Always handle with care! One of the best ways to avoid the risk of contamination is to purchase fewer products that contain hazardous ingredients. The EPA’s Safer Choice Program has some great ideas to get you started. Marin County has a zero waste program that helps you properly dispose of your home’s hazardous waste. 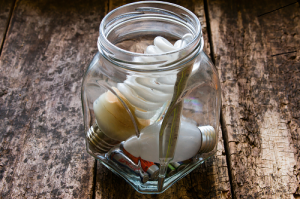 Your community may also have separate rules and regulations, including how to handle proper disposal of items like batteries and fluorescent tubes, so be sure to check with your local environmental waste agency for the latest disposal information. At Junk King of Marin, we believe working together on the safe disposal of hazardous waste helps our customers achieve a healthy home, community, and environment. To learn more about how to properly dispose of your home’s hazardous waste, get in touch with us today. We look forward to helping you create a healthier and safer home! 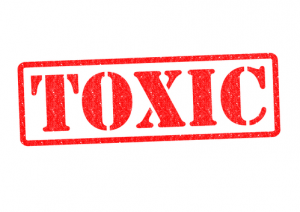 This entry was posted in Chemical waste disposal, Computer Disposal, Electronics Disposal, Sonoma Junk Removal and tagged computer disposal, healdsburg junk removal, Hot Tub removal, junk hauling on February 26, 2019 by Julian Torres, "JT". Last updated April 7, 2019 . 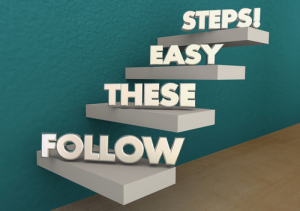 Anyone involved in a foreclosure knows how complicated a process it is. 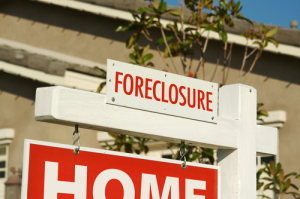 Because foreclosure forces a property’s occupants out, often at the last minute, it’s not unusual for the resident or tenant to exact some sort of revenge. While the anger may be understandable, the results are anything but pleasant. Vandalization, broken windows and appliances, piles of trash, and generally filthy conditions are sadly all quite common foreclosure cleanup problems. At Junk King of Sonoma, we believe you shouldn’t have to deal with a foreclosure cleanup on your own. Whether you’re a bank, real estate agent, property management company, or buyer of a foreclosed property, we offer competent, efficient, and reliable foreclosure cleanup services throughout the greater Sonoma area. There are a lot of damages and hazards that can be lurking inside of foreclosed residential or business properties. Safety hazards include waterlogged and/or sagging ceilings, damaged flooring that poses trip hazards, missing handrails and guardrails, broken steps, disconnected utilities, hanging gutters, uncapped gas lines, and more. Water damage in the form of soggy carpets, contamination from sump pump failure, ceiling water stains, damaged plumbing pipes, and active roof leaks. Natural disaster damage such as that caused by fire, smoke, flood, wind, hail, and fallen trees. Health risks including, among others, those associated with standing water, mold infestation, and degrading building materials. There can also be serious theft and vandalism damages including graffiti, holes in the walls, broken windows and doors, and stolen copper plumbing and electrical wiring. Not to mention piles of trash that could contain unsafe objects like razor blades and broken bottles. Junk King of Sonoma is the area’s leading foreclosure cleanup service. We’re the right junk removal company to call if you want to get your foreclosed property ready to sell or rent. We’ve been performing foreclosure cleanups for a long time and know how to deliver hassle-free and friendly foreclosure-related services. Able to respond quickly, work efficiently, and complete your foreclosure cleanup within your schedule, not theirs. Reliable, showing up when and where they say they will. 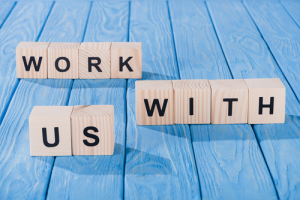 One of our teams will gladly come to meet you in person and walk through the foreclosure cleanup process for your property. They also give you a precise and comprehensive estimate that clearly spells out the work to be performed and any fees. Super-efficient which ensures all trash, debris, appliances, abandoned furniture, etc. are completely removed so you can focus on getting the property either rented or back on the market. At Junk King of Sonoma, we understand you have options when choosing a foreclosure cleanup service. Of course, we believe your best choice is hiring a foreclosure junk removal firm like ours. We’re extremely proud of our ongoing commitment to eco-friendly disposal practices, too, recycling or donating at least 60% of the junk we haul which keeps waste out of local landfills. We’re also fully insured and are the highest rated service brand in the country! This entry was posted in Sonoma Appliance Disposal, Sonoma Bulk Trash Pickup, Sonoma Furniture Removal and tagged Sonoma Debris Removal, Sonoma Junk Hauling, Sonoma Junk Removal on February 12, 2019 by Julian Torres, "JT". Last updated March 22, 2019 . Having a few loose items here and there doesn’t cause a lot of stress. When things get out of hand, though, junk lying all over the place can affect your stress levels, your mood, your productivity, and even your health. That’s why you need an experienced junk removal company to get in there. Junk King takes just about everything except hazardous waste. So, furniture removal, old electronics, kitchen appliances, and foreclosure cleanouts are all things that you should call Junk King to handle. Junk King takes these items and even the weird stuff like hot tubs and mattresses. Even areas that seem out of the way – that overflowing closet or basement with dozens of boxes and a few generations of old furniture – limit the amount of livable space in your home and might even be breeding grounds for mold and bacteria. The whole “out of sight out of mind” thing might be true to some extent, but out of sight often means out of reach as well. Clothes that are piled up somewhere are wrinkled and likely dirty. You also can’t get to them easily, which begs the question – are you really getting the best use out of all of your stuff if you can’t access it all or if it’s piling up somewhere in your home? When you think about it, accumulating more and more stuff as you age is only natural. You keep buying things and what you don’t use or what breaks down gets put in the garage, attic, or closet and you don’t really think about it too much anymore. Other items might have sentimental value that remind you of a particular time and place. After taking the time to sort through it all and separate the valuable from the expendable, a lot of older retirees are finding that lugging old furniture or heavy garbage bags isn’t all that safe at their age. That’s where junk removal comes in. Junk King is a junk removal company that can help you increase your living space or, if you’re planning on moving or retiring yourself soon, get all of that stuff out of your home in time for sale or move-out. Letting go of the old opens up more space to embrace new experiences. You’ll spend less time cleaning and maintaining stuff that’s only holding you back anyway. On top of that, decluttering has been shown to do things like: improve your sleep, reduce anxiety, shore up more creativity, and remove harmful allergens from your home. There are a lot of ways to get started on decluttering your home. You can call or book online or even text a picture of the mess and Junk King will give you an estimate. Junk King does it all when it comes to junk removal. Couches, sofas, chairs, and bookcases are common junk removal items taken from homes whereas filing cabinets, cubicles, and desks are frequently hauled off of the worksite by Junk King’s junk removal professionals. Professional junk removal ensures that you’ll finally get that junk out of your home on a set date without your having to lift a finger. Junk King’s junk removal pros are insured, friendly, and equipped with the right tools and junk removal truck to get everything you don’t want hauled away that day. If you’re looking to feel less stress and finally reclaim your home, then get professional junk removal by calling or emailing Junk King today. Book online and save some green! This entry was posted in Junk King Sonoma, Marin Junk Removal, Sonoma Junk Recycling, Sonoma Junk Removal, Sonoma Mattress Disposal and tagged junk hauling sonoma, junk removal, Sonoma Junk Removal on January 28, 2019 by Julian Torres, "JT". Last updated March 22, 2019 . Yard Waste Removal Causing You Headaches? Call Junk King! Crossing all of that yard work off of your list sure feels good. But what do you do now that you have a half-dozen garbage bins full of yard waste and need yard waste removal pronto? Does your local municipality even pick that kind of stuff up? The truth is that many municipalities put limits on how much yard waste they’ll pick up, and yard waste itself can surprisingly cause a lot of issues for the environment when disposed of improperly. The Sierra Club found that improperly disposed of yard waste can cause leachate and methane gas to escape into the atmosphere or seep into the soil and do damage there as well. None of that is too hot for the environment. Fortunately, Junk King is committed to turning yard waste into manufactured topsoil and compost whenever and wherever possible. Considering that an estimated quarter-billion tons of municipal solid waste is generated every year in the United States that’s very reassuring. The thing that might catch some people by surprise is that two-thirds of that quarter-billion tons of municipal solid waste is what’s known as organic waste, which is another name for yard waste or green waste. Yard Waste Removal: Does Junk King Take? The green waste and composting experts say that by weight grass is easily the biggest share of yard waste removal. It also turns out that leaves are the biggest share of yard waste removal when you measure things by volume. Anyone who’s tried to stomp down leaves into one of those flimsy black plastic bags knows this to be the case. 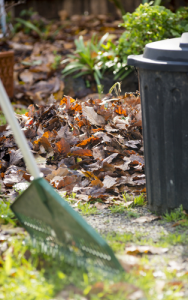 The truth is that yard waste is composed of a whole lot of things – grass, leaves, brush, soil, and landscaping debris. Junk King takes all of that stuff plus stumps, fencing, firewood, lumber, and old window frames. Since Junk King takes just about every kind of yard waste imaginable, you can even have your shed demolished, broken down, and taken off your hands. Junk King recycles, reuses, and donates wherever possible to give new life to no-longer-needed or discarded stuff. With an old shed, for instance, it might be the case that components like the shed’s wood, plastic, frames, and plasterboard can be put to another use down the road. That’s a lot better than this stuff winding up in a landfill, which would likely be the final destination for yard waste if it goes through municipal pickup. Junk King is America’s greenest junk removal service because of its commitment to reduce, reuse, and recycle wherever possible. For yard waste in Sonoma, you might find Junk King’s online pricing tool especially helpful because it lets you get a feel for how much a job will cost before scheduling your appointment. Unlike something like a foreclosure cleanout, you can usually size up yard waste pretty quickly and get an idea of how much truck space you’ll need going forward. On that note, know that you can always text Junk King a photo of your yard waste at (737) 888-5865 to get things squared away sooner. The most accurate way to get an estimate for your upcoming yard waste removal, though, is with no-obligation, on-site pricing. That’s where a Junk King staff member comes out to your home or business and determines how much the job will cost and what kind of tools and manpower will be required to get it done. Other ways to stay in touch are through calling Junk King at (888) 888 – JUNK (5865) or contacting us online. Yard waste removal has never been easier. This entry was posted in Debris Removal, Junk King Sonoma, Sonoma Junk Hauling, Sonoma Junk Removal and tagged junk hauling, Junk King Sonoma, junk removal on January 15, 2019 by Julian Torres, "JT". Last updated March 22, 2019 . If you have hoarding tendencies or your loved one is affected by this problem, it might be challenging to clean up and organize the house. In general, hoarding causes people to have difficulties throwing anything away. Consequently, the house will be filled with useless items and cluttered with insurmountable messes. Under ideal circumstances, it is advisable to consult a cleaning and junk hauling service for hoarder help. However, you can also tackle the problem using a hands-on approach if you have time. Here are practical steps to help you clean and clear a hoarder’s house. It is important to establish criteria for sorting out the items in the house when providing hoarder help. Hoarding often leads to the retention of damaged, useless and unnecessary appliances, clothes, tools, mail and other similar materials. If the unusable items are not eliminated, it will be difficult to clean and clear the home. An ideal sorting plan should help the people helping know how to identify junk. For instance, inoperable old appliances and old mail can be considered trash while items used on a regular basis can be protected. The process of cleaning a hoarder’s house can be dangerous. More often than not, the rooms will be filled with items, making it difficult to navigate the space. Also, the accumulation of junk makes it difficult to keep the house clean. It is not uncommon for the home to have a lot of dust, pests, mold and mildew. Therefore, when providing hoarder help, it is advisable to acquire appropriate protective gear to avoid injuries. Disposable gloves, safety goggles and a dust mask are essential for preventing contamination from dust and grime. Sturdy work shoes are also useful for keeping the feet safe. In addition, if there is danger of falling objects, you should wear a hard hat. You can begin by emptying out the rooms and placing the items in a chosen staging area once you have donned your protective gear. An ideal staging area would be a free open space in the outdoors where all the hoarder’s items can be temporarily placed. Ensure that the chosen stage does not block exits in case of an emergency. Once the items are in place, you can begin sorting everything according to the criteria determined earlier. Separate junk from useful and salvageable items. When emptying the rooms, it is advisable to begin with the one closest to the door. This will allow for easier navigation when clearing the further rooms. A good waste removal plan is essential when providing hoarder help. All the items determined to be junk will need to be disposed of correctly. Finally, you can begin decluttering, organizing and cleaning the house. Identify any items which might have been overlooked or brought in after sorting and remove them. Then, organize each room in the best way before cleaning the surfaces of each room thoroughly. Reach out to us for consultation. This entry was posted in Debris Removal, How to get rid of furniture, Junk King Sonoma, Marin Junk Removal, Sonoma Junk Hauling, Sonoma Junk Recycling, Sonoma Junk Removal and tagged junk hauling sonoma, Junk King Sonoma, Sonoma Furniture Disposal on December 26, 2018 by Julian Torres, "JT". Last updated December 29, 2018 . If you are planning on demolishing, building or renovating your property, you should establish a plan for dealing with construction waste. The poor management of this type of waste on your worksite could lead to unnecessarily high removal expenses, sudden worker injuries and federal law complications. In addition, it is essential to note that without a management plan, the efficiency of your construction work will be compromised. Here are critical guidelines to help you manage the waste while minimizing costs and inefficiencies. Construction-related waste can be reduced before collection and disposal. Minimizing the materials will reduce the total costs of handling and disposing. In addition, reduced waste reduces the implications of the building work on the environment. If you are planning on demolishing a structure, consider deconstruction instead. Deconstruction involves the careful dismantling of a building. The resulting materials can be reused when rebuilding. 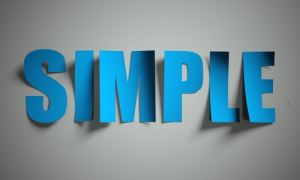 If you do not want to use the materials in your structure, you can sell to interested parties. You should think about segregating your construction waste before collection and disposal. Sorting the materials can help you minimize the management costs. Ideally, the materials should be separated into recyclable and non-recyclable groups. The former waste can be collected by a recycling company, eliminating the costs of disposal. Moreover, this action reduces your carbon footprint. The reduced volume of the general waste which cannot be recycled will be cheaper and easier to dispose after the sorting and segregation process. Efficient management of waste on your building site requires a plan for collection. Therefore, you must have multiple collection points for the waste whether you are demolishing, building or remodeling. The collection points should be in a place that can be accessed by the construction workers and the waste disposal company. The containers should not be in a place where they will disrupt the movement of workers and interfere with construction. In addition, the collection points must never block emergency exits in case of a workplace incident. Your construction site might produce hazardous waste materials. These need to be handled with care because they can cause harm to the environment if disposed of carelessly. In addition, there are federal regulations on the disposal of dangerous items such as asbestos-containing materials, lead-containing items, aerosol cans, paint and mercury-containing fixtures. It is advisable to check on the legal guidelines outlined for the disposal of hazardous construction waste. 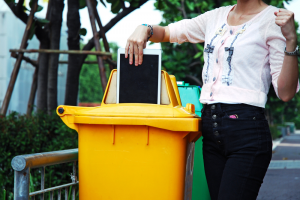 Consult your chosen waste collection and disposal company for guidance on the best practices. Waste management on your construction site should be handled by professional with experience in the field. While it is possible for the work to be carried by your contractors, experts are more efficient and reliable for this process. Moreover, if your construction workers have to conduct waste collection and disposal tasks, their valuable time will be wasted, and your project will be delayed unnecessarily. If you would like to learn more about professional waste collection, consult our experienced personnel at Junk King Marin. This entry was posted in Construction Debris, Debris Removal, Junk King Sonoma, Sonoma Junk Hauling, Sonoma Junk Removal and tagged commercial waste, construction debris, cotati junk removal, junk hauling, junk hauling sonoma on December 13, 2018 by Julian Torres, "JT". Last updated December 16, 2018 . Household chemical waste comes in a lot of different forms. Oil-based latex paints, wood varnish, and garden chemicals like pesticides and fertilizer could all be considered household waste because they pose a danger to your health, and even public health, if improperly disposed of. That means that you can’t simply flush household chemical waste down the toilet and call it a day. Something as seemingly innocuous as tile cleaner or carpet cleaner could wind up doing real damage to the environment and local water systems if flushed away or poured down the drain. At the same time, many personal electronics like computers, monitors, and old cell phones contain heavy metals like lead and mercury that make them dangerous to throw in with the normal trash. The same thing goes for light bulbs and thermometers, which could also contain mercury. The problem with household chemical waste is that it can leach into the soil if left just anywhere, and it can certainly get into local water systems if flushed down the toilet. For that reason, you need to take extra precautions when disposing of a lot of the stuff in your garage: gasoline, motor oil, antifreeze, and even pool chemicals require special treatment. Whether you’re talking about stuff in the garage or cleaning products in the cupboard, you’re talking about household hazardous waste. Although Junk King doesn’t take hazardous waste, you can call on Junk King for most other kinds of garage cleanouts: tires, books, boxes, windows, and rubbish. Pouring out a household cleaner in the regular trash could endanger the health of local sanitation workers, and flushing that same cleaner down the toilet might contaminate your septic tank. In fact, the state of California has for over a decade banned folks from tossing fluorescent bulbs and batteries in the trash because both are considered “universal” waste. Both Junk King and the CalRecycle are committed to making it easier to responsibly dispose of household hazardous waste and universal waste. That said, there are steps you can take to reduce the amount of chemical waste in the first place. The Environmental Protection Agency recommends reducing your purchases of cleaning products that contain hazardous materials. The EPA also says that it would be a good idea to use environmentally friendly products (e.g., greener laundry and dishwasher detergents) or even using DIY alternatives to bug spray where possible. At the same time, you can often accomplish the same thing as, say, drain-clog removers (a.k.a., Drano) or furniture polish do with much less of a negative impact on the environment. For example, a plunger and plumber’s snake (auger) can unclog drains. Lemon juice, vegetable oil, and a towelette can also give your wood furniture a nice, clean sheen. As America’s greenest junk removal service, Junk King takes and recycles and/or donates all kinds of items, including electronic waste. Though electronic waste, or e-waste, often contains hazardous materials like lead and mercury, e-waste is typically considered universal waste. Junk King actually takes e-waste like computers, monitors, and printers. Junk King Takes E-waste…Not Hazardous Waste! That’s important because old cathode ray tube televisions and monitors contain lead, which can pollute the air, soil, and water if improperly disposed of. The thing to remember is that Junk King accepts electronic waste, but doesn’t take hazardous waste like paint, gasoline, pool chemicals, and household cleaners. For virtually everything else, Junk King can help. Call on Junk King for foreclosure cleanouts, office cleanouts, furniture and appliance removal, construction waste removal, and yard waste removal. This entry was posted in Chemical waste disposal, Commercial Waste, Computer Disposal, Construction Debris and tagged cloverdale junk removal, commercial waste, computer disposal, junk hauling sonoma on November 28, 2018 by Julian Torres, "JT". Last updated December 9, 2018 . Junk King Sonoma offers the area’s most professional level of junk removal services. We’re fully committed to making the debris removal experience an easy and pleasant one for all our customers. Clearing away piles of debris is no easy task. Here are five good reasons you should call Junk King and make it a stress-free chore. Safety. Construction debris in particular is full of sharp materials, rusty nails, toxic waste, and other potential safety hazards. Hiring a professional debris removal company provides the peace of mind you seek. You can rest easy knowing your family or employees are safe from all types of dangerous debris. Convenience. Debris piles up fast. By the time you’re ready to haul it away using your own vehicle you might spend the entire day traveling to and from the dump. With a debris removal company like Junk King Sonoma, all you need do is schedule a convenient pickup time and your debris will be removed in a way that doesn’t take over your schedule. Responsibility. Eco-friendliness matters more now than ever, so it’s important your debris is properly recycled, repurposed, or disposed of. Want to ensure your debris is removed in the most environmentally safe way? Junk King’s commitment to eco-friendly practices is second to none in the whole of Sonoma County. We’ve partnered with a number of area organizations and recycling centers to accept any items that qualify as recyclable or able to be repurposed. We love doing our part to reduce the amount of waste that ends up in local landfills! More Space. While it may be easier to let debris pile up until a job is done, it can also make your home or commercial site an eyesore to the neighborhood. Having a professional service periodically remove debris from your site helps you easily maintain the area and have more of it to work with! Wouldn’t you rather have our experienced crews take care of all the lifting and hauling so you can sit back and relax? When you decide to rid your home or commercial site of unwanted debris, our team is here to make it happen in a professional and efficient way. Our talented crews make quick work of hauling away all sorts of debris and other unwanted items from your home, office, or retail space. So why not make Junk King Sonoma your #1 choice for debris removal? We offer the area’s lowest rates and outstanding customer service. Contact us today to discover how easy it can be to get the most cost-effective and professional estate cleanout throughout the entire Sonoma County. This entry was posted in Construction Debris, Debris Removal, Junk King Sonoma, Marin Junk Removal, Paint Can Removal, Refrigerator Removal, Sonoma Bulk Trash Pickup and tagged computer disposal, construction debris, duncan mills junk removal, junk hauling, junk hauling sonoma on November 14, 2018 by Julian Torres, "JT". Last updated November 20, 2018 .